I had a great weekend this weekend. My aunt came in from Florida, so I went to Dallas to see my family. I had so much fun spending the days shopping with my mom and her sister. My mom and aunt are so cute when they are together. They are three years apart and they share the same birthday. I loved all the reminiscing that I got to do and hear this weekend. On top of all the fun, this was a great shopping weekend. I think we hit every Marshalls and TJ Maxx in the city of Dallas. I got lots of cute clothes to wear to work. I even got a cute pair of earrings. I may have to blog about them later. When I got home, I needed to cook my meal for the week. That worked out so well last week. I am only trying to maintain my weight, but I ended up losing a couple of pounds, too! (I usually like to plan everything by ear, but I guess planning ahead works out sometimes.) 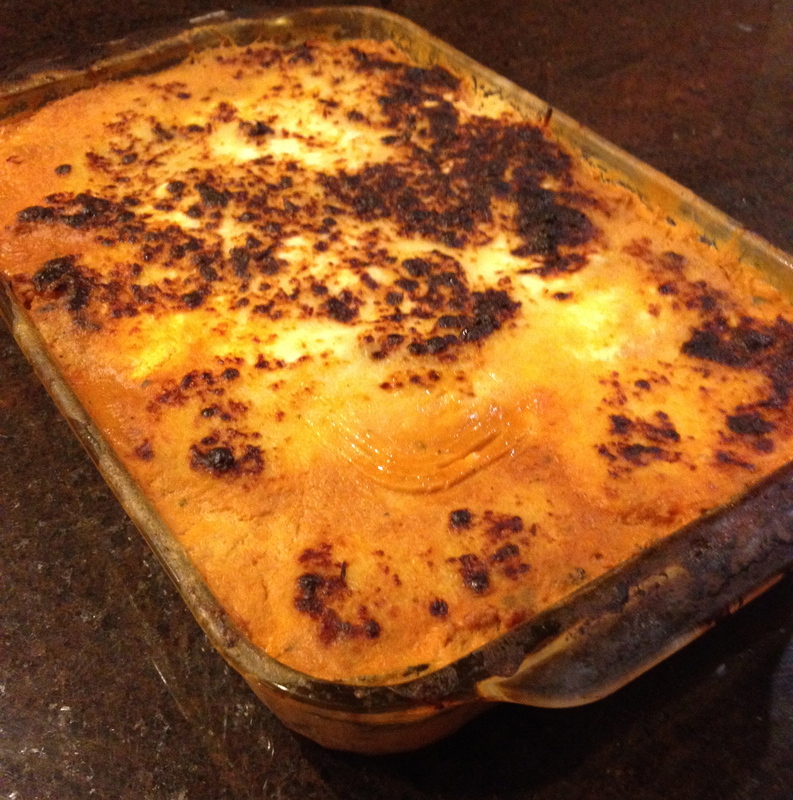 I decided to go for a no noodle lasagna. 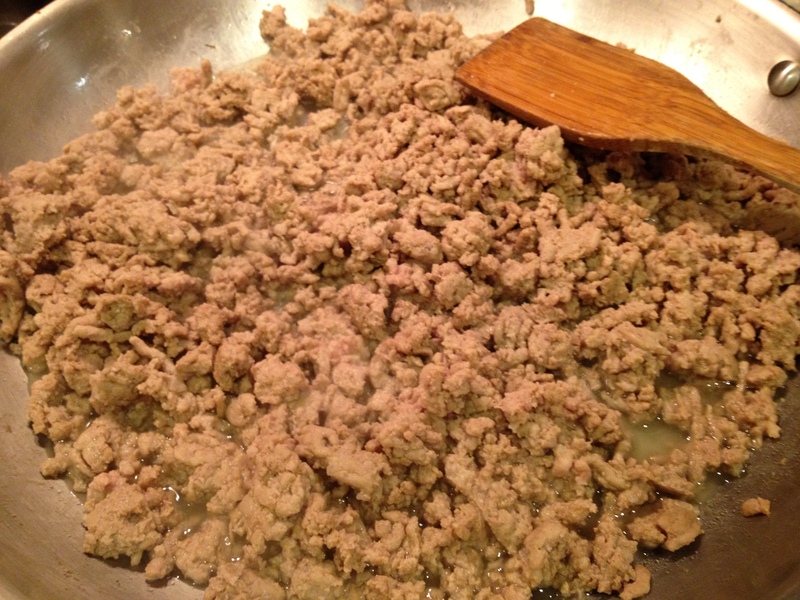 This is the hardest recipe that I’ve attempted and it really wasn’t so bad. I found the recipe off the Dashing Dish website when looking at Pinterest. Slice up the zucchini into strips. Spray cookie sheet with cooking oil. 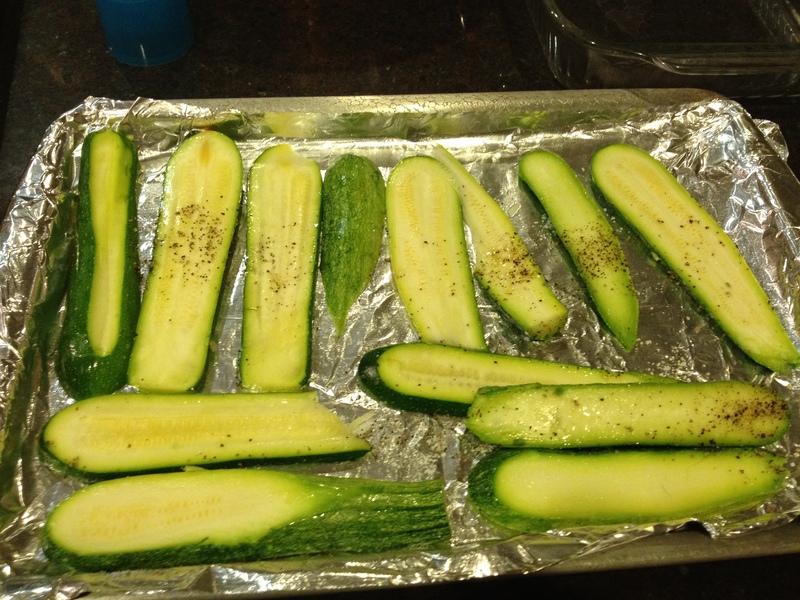 Put zucchini on sheet, add salt and pepper. Bake in oven at 425 for 5 – 10 minutes on each side. 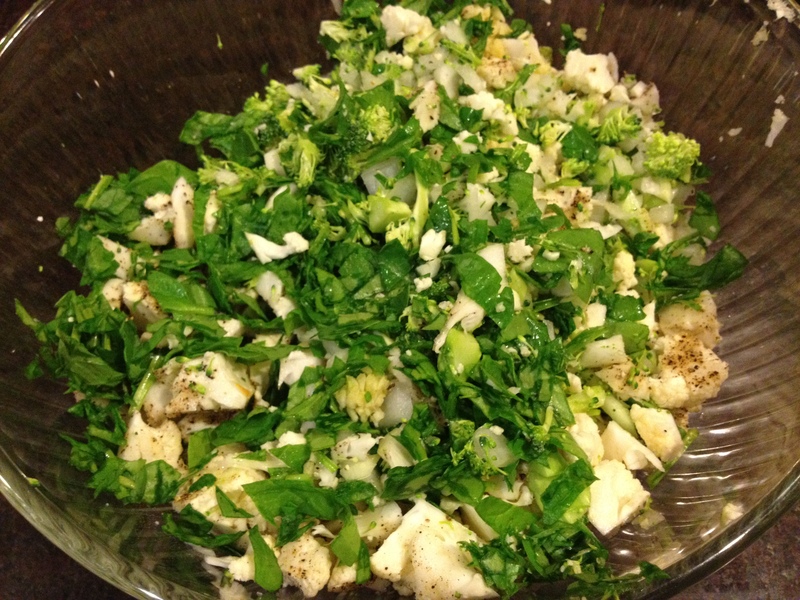 Chop all of the vegetables and mix them together. 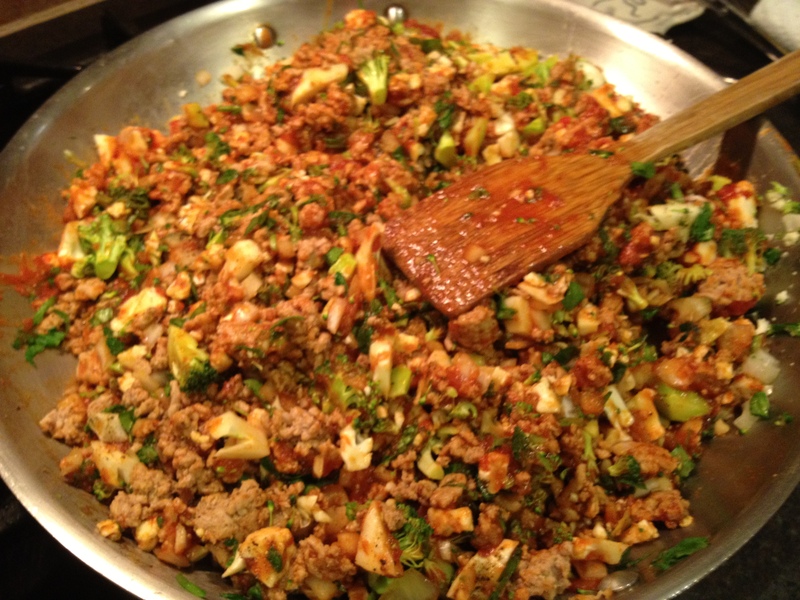 Put all of the vegetable ingredients, meat, and the spaghetti sauce together in a really large skillet and cook until the vegetables begin to get soft. 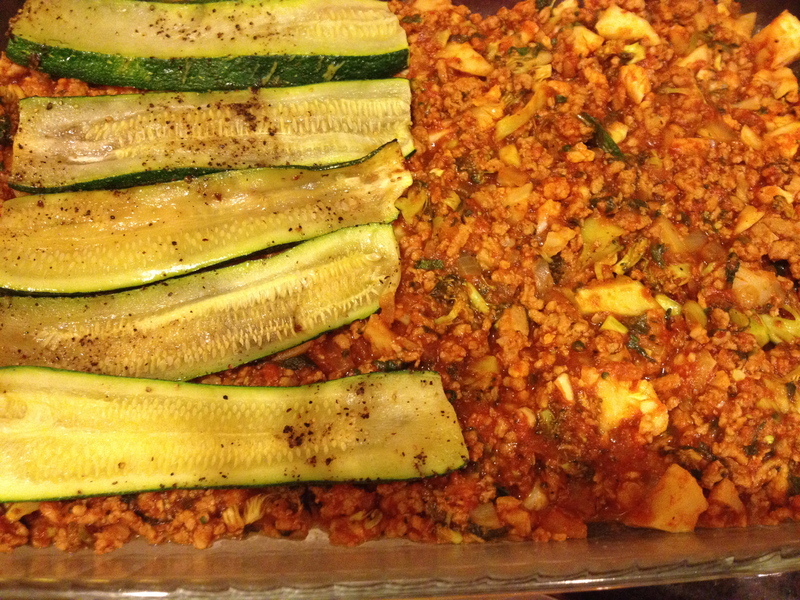 Put a layer of meat sauce on bottom, put a layer of zucchini in a casserole dish. 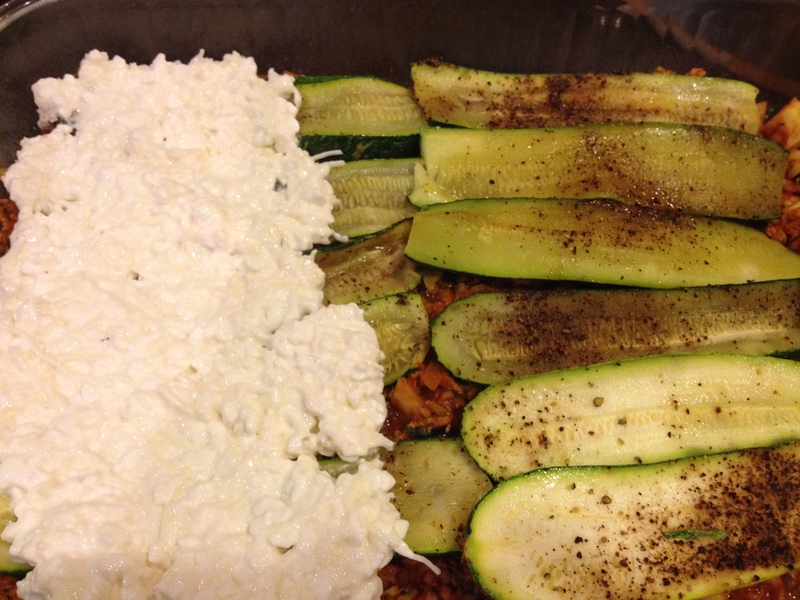 Add a layer of cheese mixture on top of the zucchini. 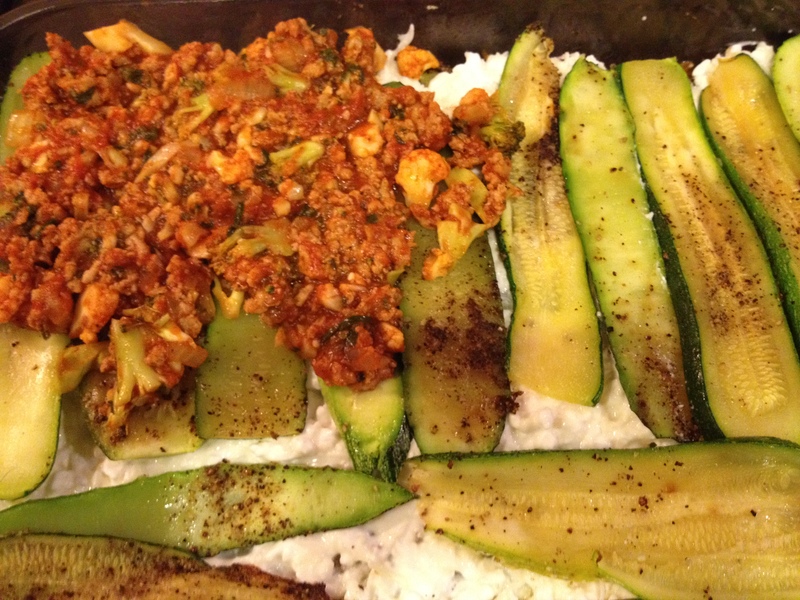 Add another layer of zucchini, then another layer of meat. 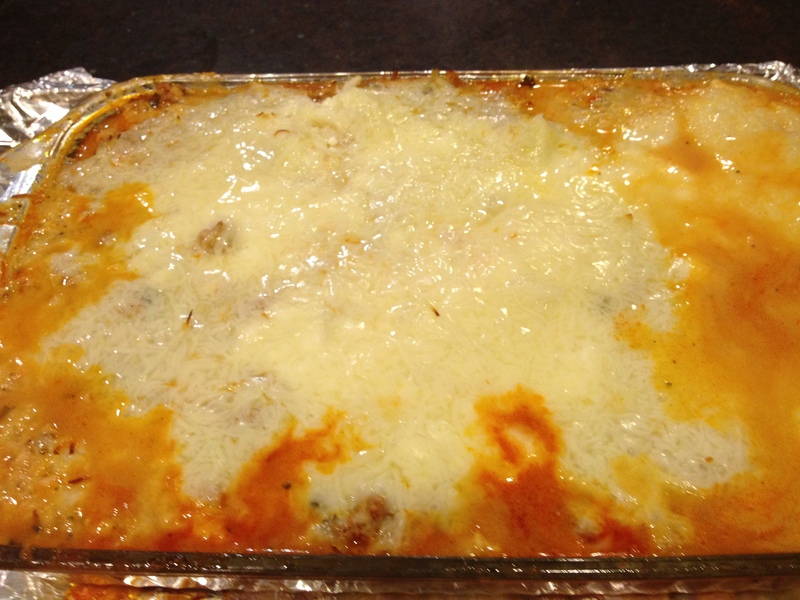 Top with parmesan cheese, cover with foil, and put in the oven at 450 for an hour. 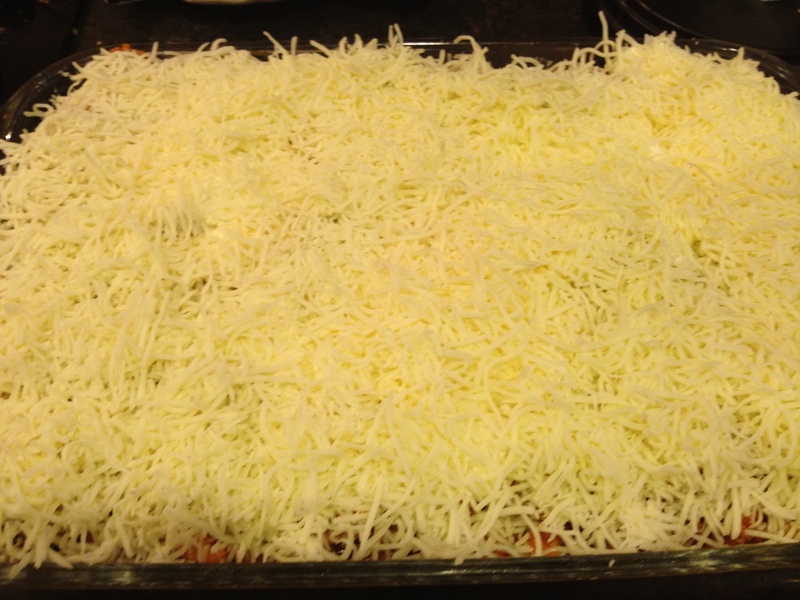 Take off the foil and put back in the oven to brown the cheese for about 2 – 5 minutes. I think I let it brown too long, but it still tastes really great! !